It’s the 11th July 1993. ‘Portbury’, resplendent in blue, is being prepared for the day’s work. 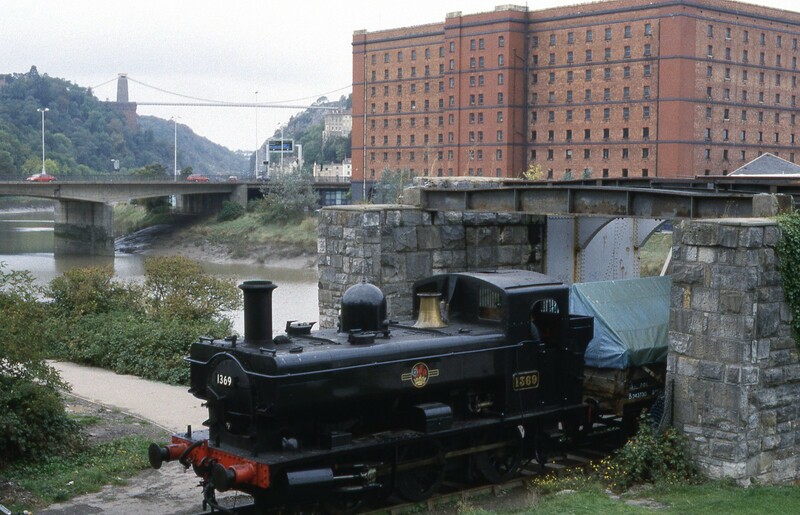 Note the industrial buildings behind, now the site of apartments. From the 24-27th May 1996, Bristol Harbour was host to the International Festival of the Sea. This was a huge event featuring many guest ships and attractions, and of course the BHR played a part. 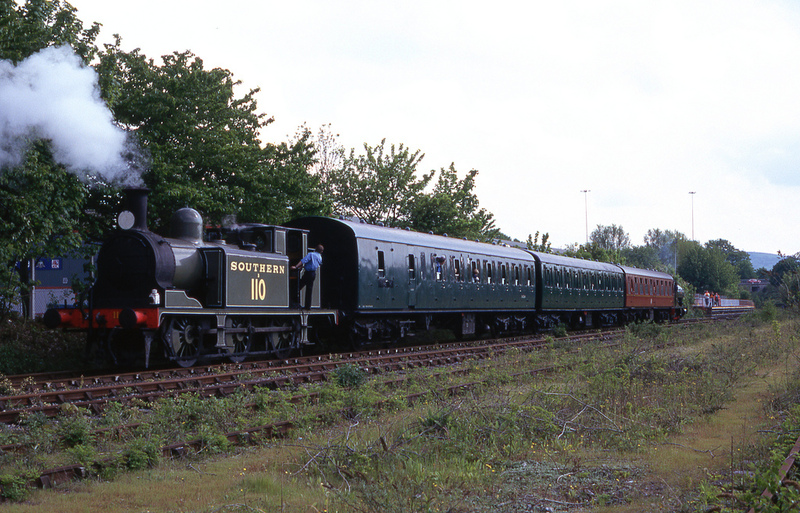 A shining and fully-lined out ‘Henbury’ was joined by LB&SCR E1 class 0-6-0T No.B110, then based at the East Somerset Railway (Now being restored to service on the Isle of Wight as No.W2 ‘Yarmouth’). 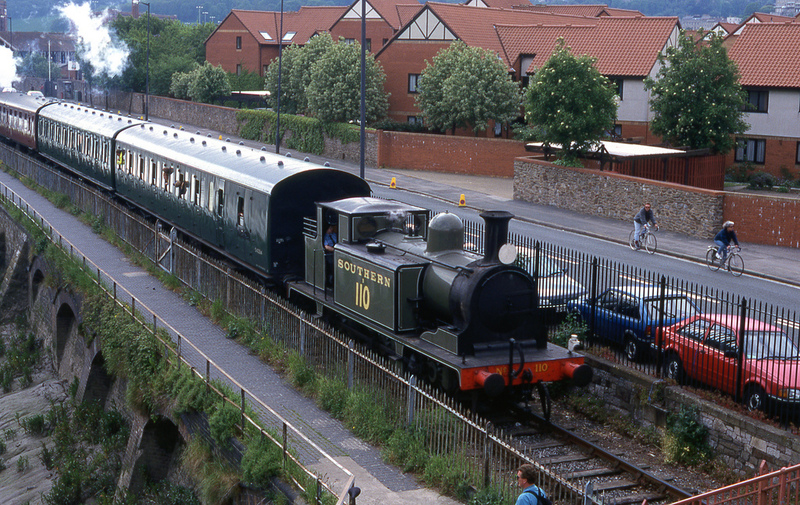 The two locos operated a shuttle service between the station at Ashton Meadows and the Bristol Industrial Museum with 3 loaned coaches. 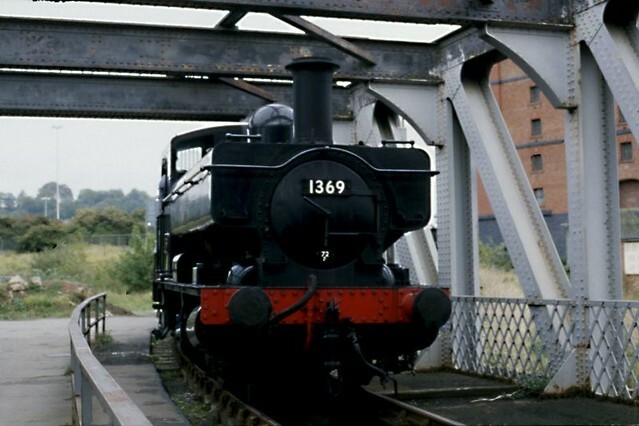 The following pictures appear with the kind permission of Geoff Hartland. 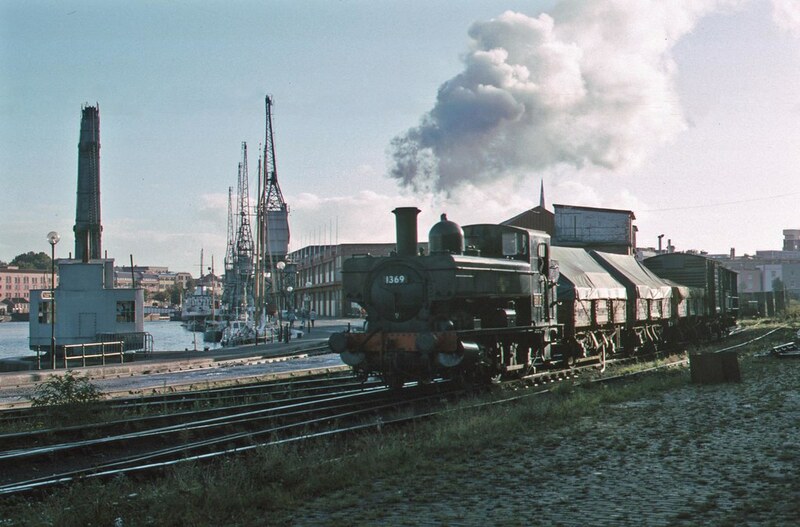 Number 110 was built at Brighton Works in 1877 and named ‘Burgundy’. 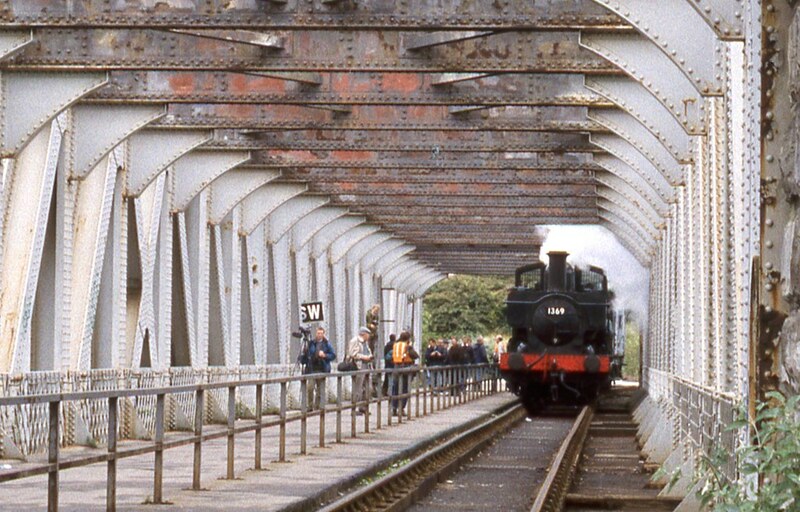 It was withdrawn in 1927 and sold to a colliery in Rugeley, which resulted in it being the only member of its class to survive scrapping, being sold into preservation in 1963. 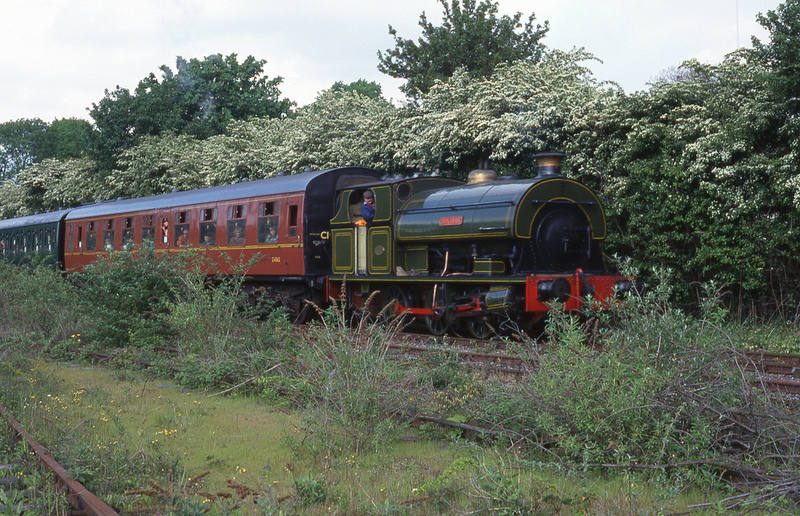 It was in service on the ESR between 1993 and 1997, when it was withdrawn early due to firebox problems. 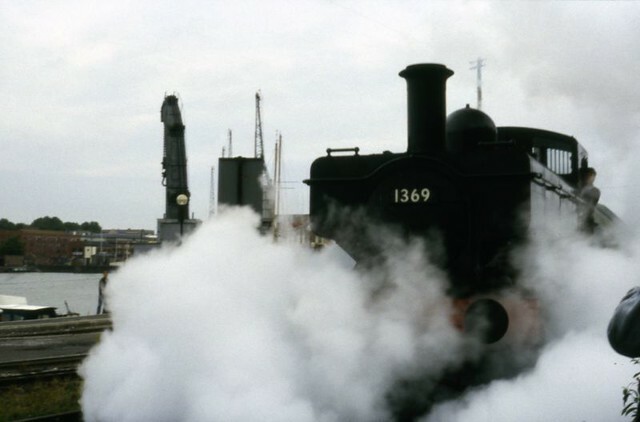 She is now on display at the Isle of Wight Steam Railway’s ‘Train Story’ exhibition, and will be restored in due course. 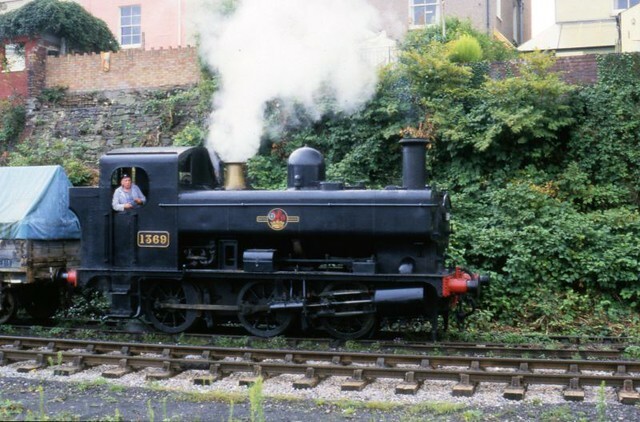 Today’s Throwback Thursday post – back in September 1997, ‘USA’ tank 30075 (Built in 1960 in Yugoslavia to a WW2 design) ran some photo charters. 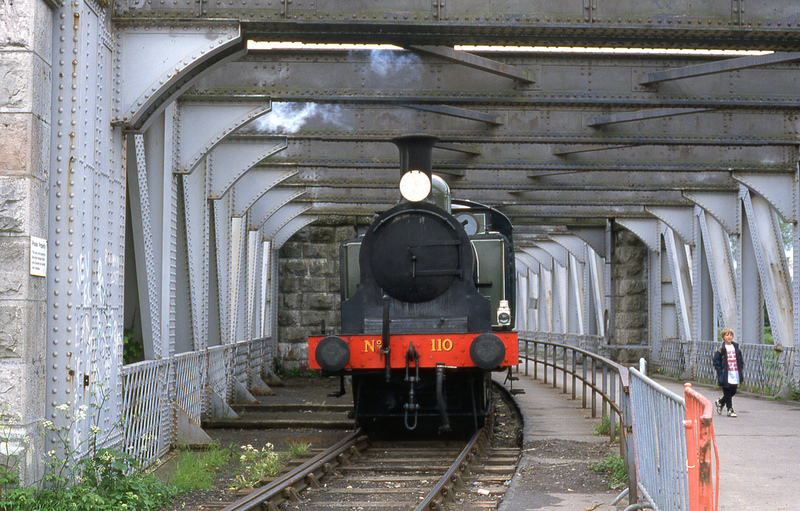 Ian Silvester took this video, and has given permission for it to be reproduced here.